“I feel so proud to have created something on this scale. When I see this show, I know the journey I have taken in my career and this exhibition almost represents what is to come in the future. 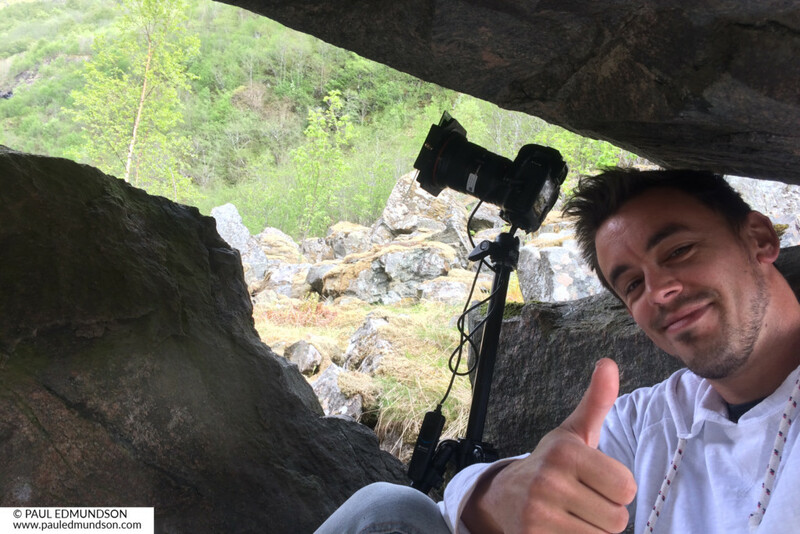 This exhibition shows my signature style nature photography, that I am known for. 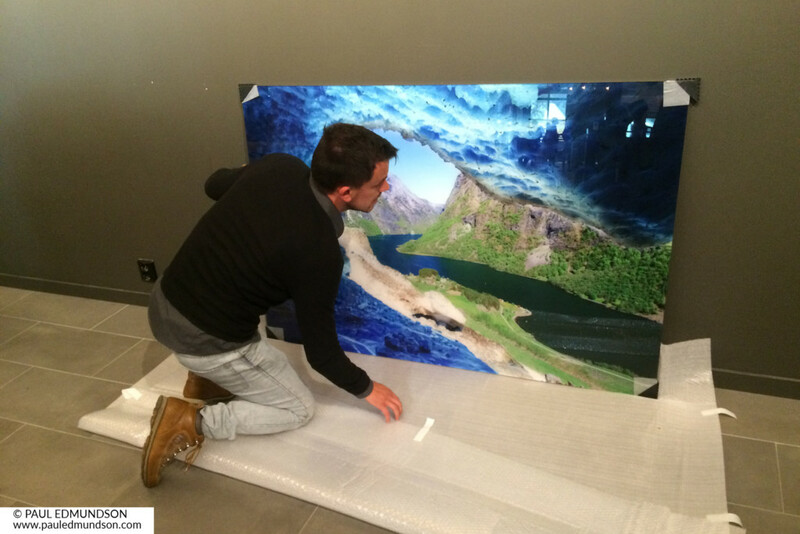 For this project I created silver halide museum panels with vibrant and bright images that just pop out at the viewer. When people see them they are taken aback and have an emotional reaction. As an artist that is priceless and I couldn’t be more proud than to see the viewers’ faces light up in awe. Creating this collection of artwork was one of the biggest challenges to date and I loved every minute of it. 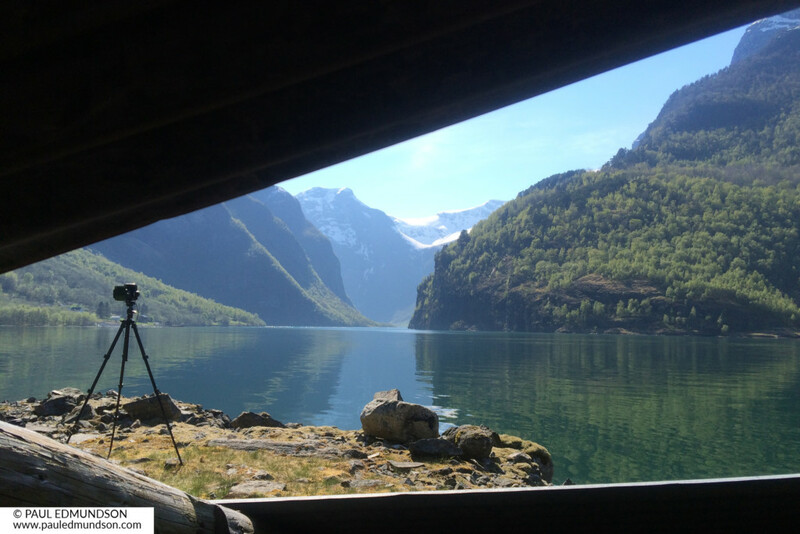 I had such an amazing time exploring the isolated twists and turns of the Nærøyfjord and I documented behind the scenes as I went” Paul Edmundson. 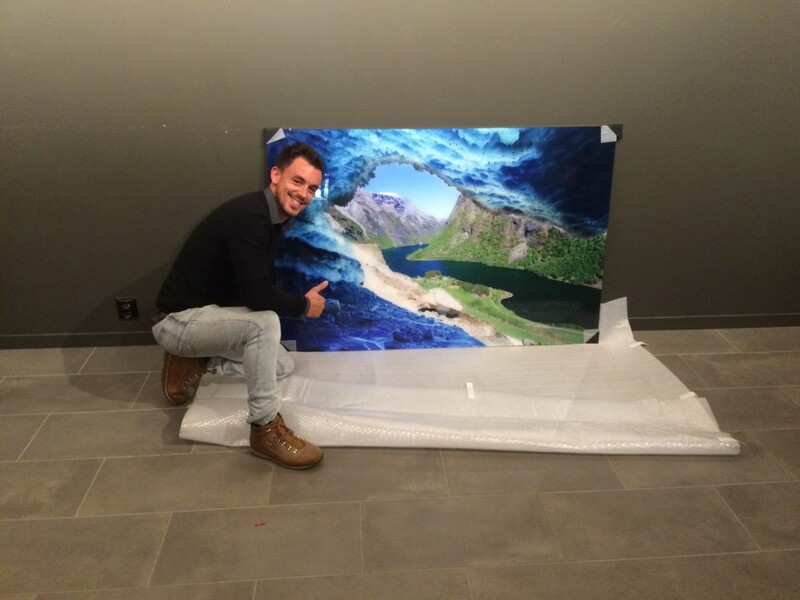 “A 9 meter print is massive, and a panoramic with a ratio of 1:4.5 is extremely wide. To create this, I used a special tripod head mount which I set at 15 degree intervals, as my camera swept 315 degrees around me. 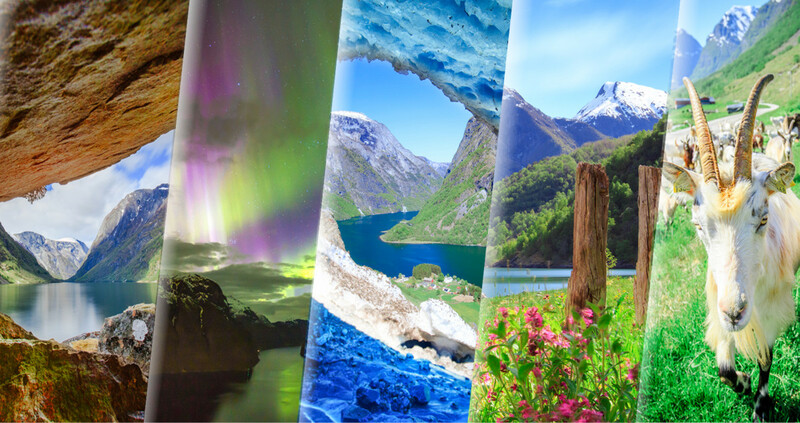 I then merged the 22 images together creating my first super-sized panoramic photo. 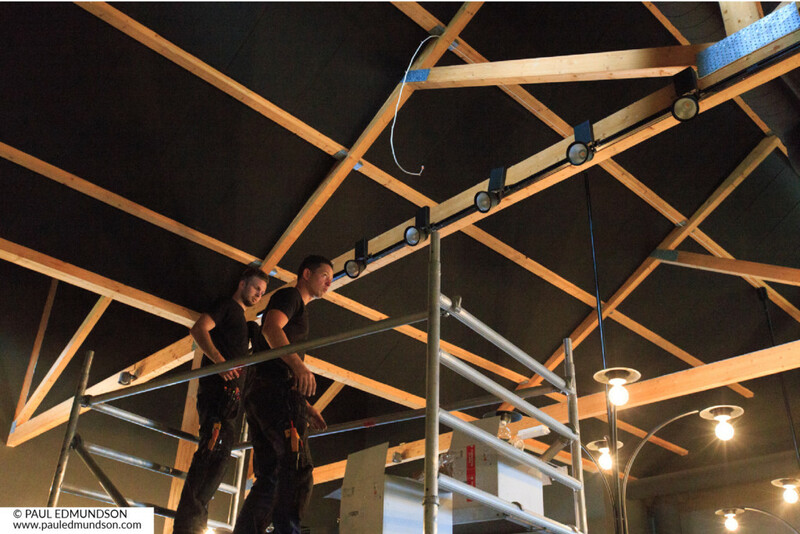 This technique also increased the overall file size of the artwork, giving me a file large enough to make the 9 meter print” Paul. 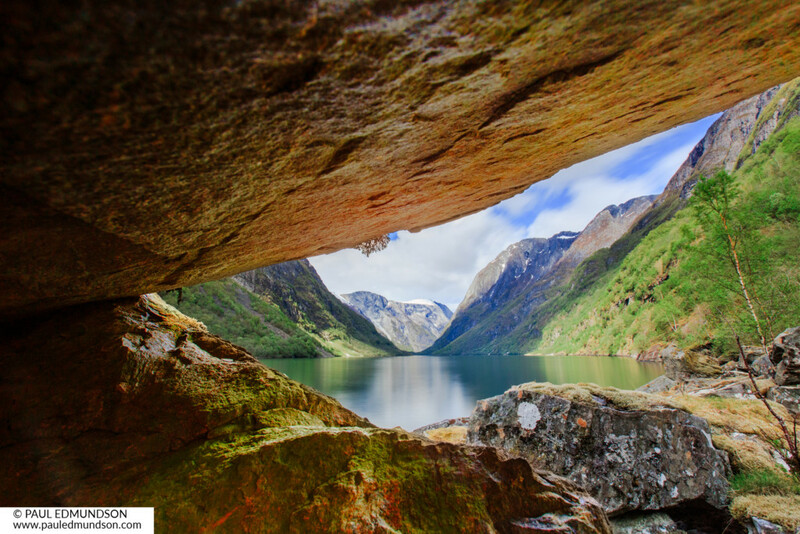 “For the Gudvangen image, I placed my camera inside a very tiny opening between two rocks, giving the impression of being in a cave. This added texture to the composition and a nice unusual motif. I used a long 60 second exposure to smooth out the moving in the water and to make a nice streak in the clouds” Paul. Tiniest of space is sometimes enough. 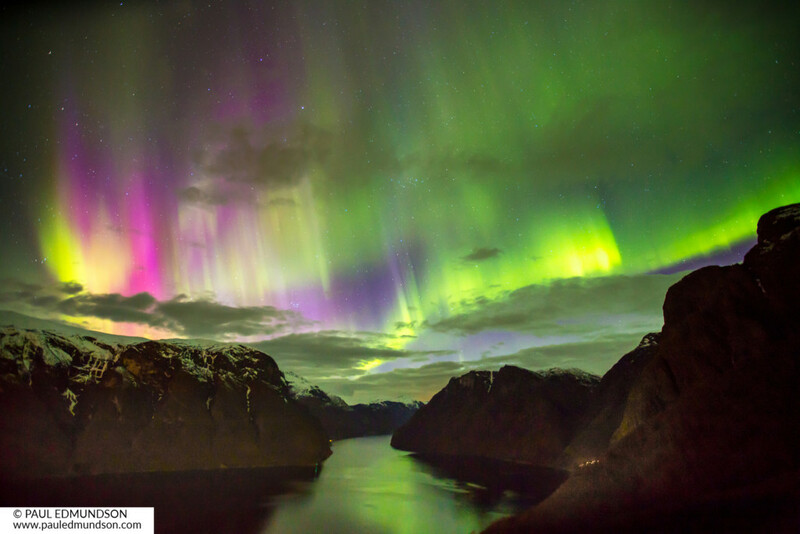 “Aurora Borealis in southern Norway is quite a treat and was something I had hunted many times earlier. On this evening, I had the good fortune to be completely engulfed in their magical beauty and I felt the full power of the glory of Mother Nature. They were moving so fast and rapidly dancing that I could use no longer than 6 second shutter speed for this exposure” Paul. Seeing this was one of the most inspiring things I have experienced. 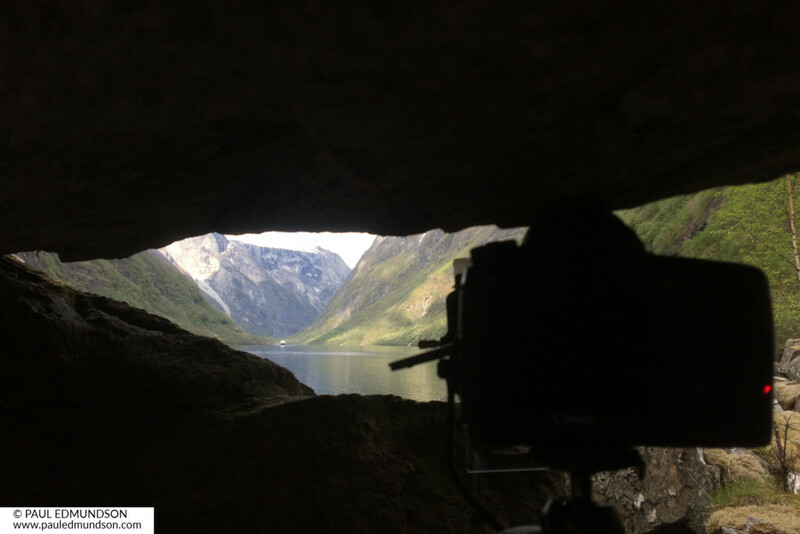 “The Bakka image required that I hike up a 60 degree vertical cliff face and put my camera inside a melting snow tunnel, about 300 meters above the fjord. It was very difficult to access and I wasn’t certain that I would get the frame I wanted. 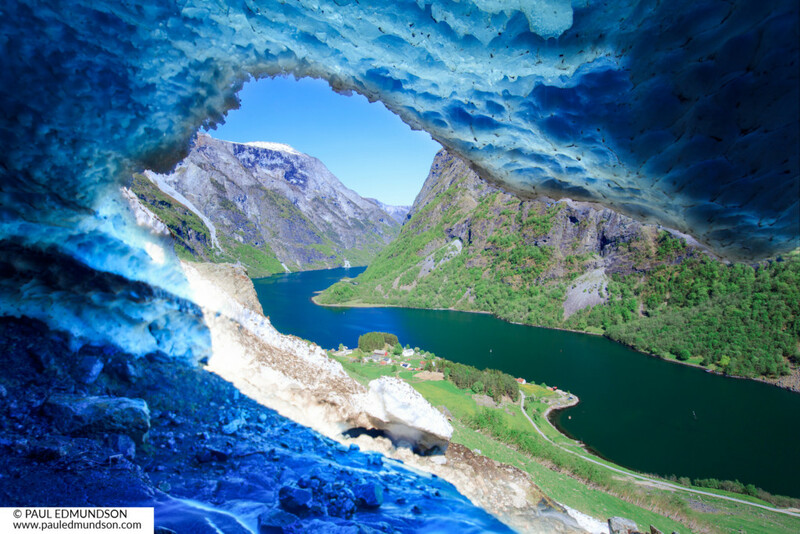 Fortunately the ice cave was at the optimum level for me to get the perfect shot and with a 30 second exposure I completed my vision” Paul. Taking a rest on the hike back down. Inspecting the fine art museum panel. What amazing colours!!! “I often use ultra long exposure as I have found that I best like how drifting clouds and moving water look at 400 second exposures, so I developed a method I call ‘400s’ which allows me to get a 400 second exposure whatever the time of the day. 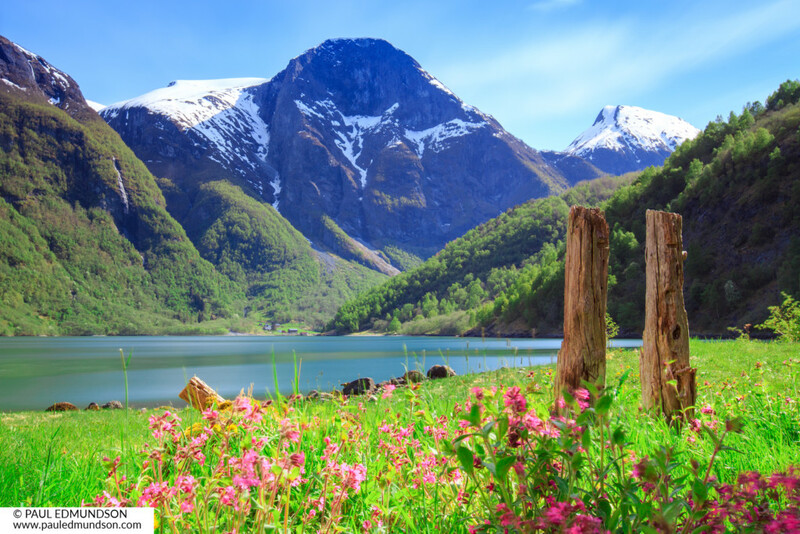 In Dyrdal I searched for the perfect natural scene. I spotted these two vertical posts protruding from the ground, and noticed a small patch of natural flowers growing nearby. I sat my tripod down and using my 400s technique, I was able to adsorb enough of this beauty to create a scene with the snow capped mountains in the background, drifty clouds and a perfectly smooth fjord surface” Paul. 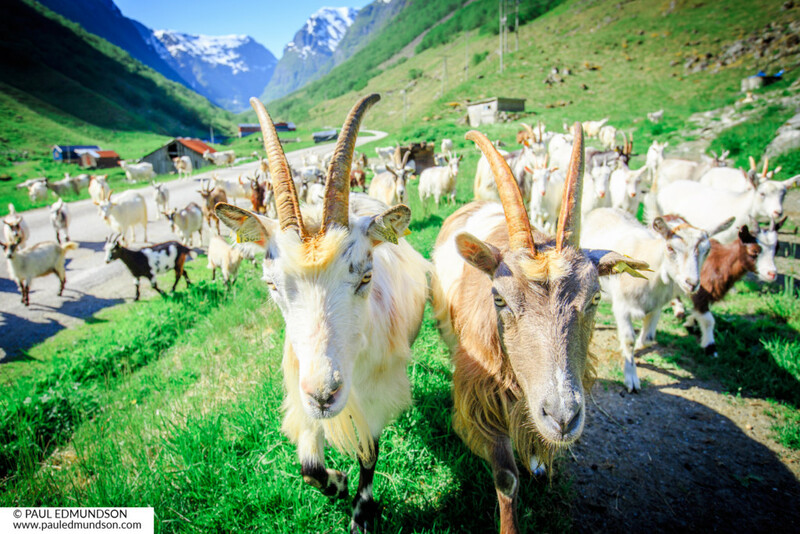 “Undredal’s most famous residents are the goats. As I was driving down the road through the valley on a beautiful sunny day, I noticed the road was completely blocked by what seemed like a hundred goats. I immediately stopped the car and walked right into the pack. Two goats were particularly curious and engaged with me at close range. 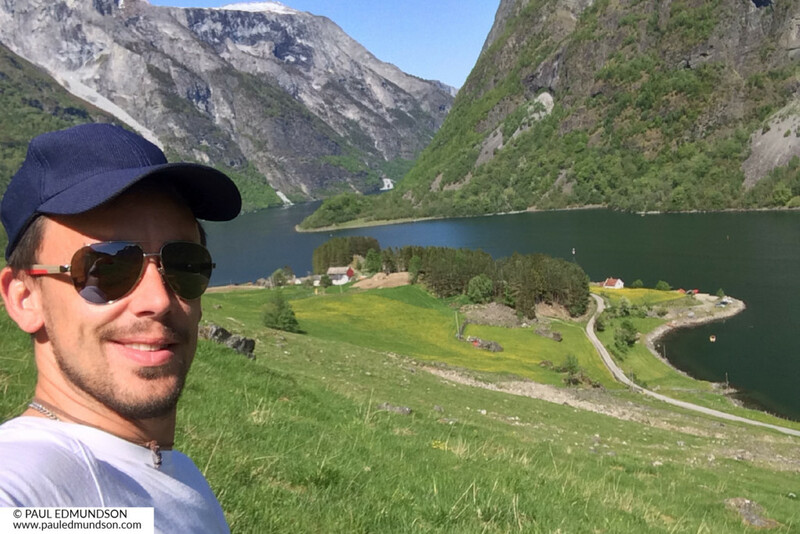 It happened in a location with a beautiful backdrop and I captured the real personality of the goats and heritage of the village in this one shot” Paul. 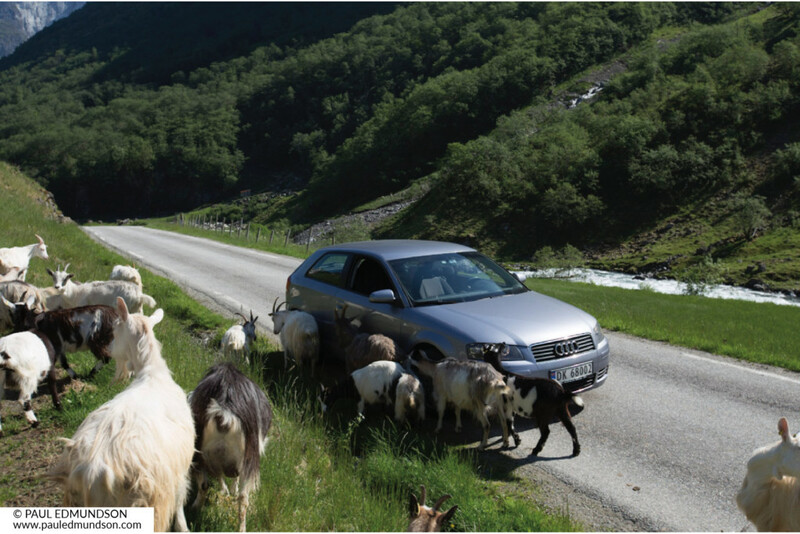 Goats eating cars, a common delicacy in Undredal.